Most of the course development team will have begun by the time September roles around. 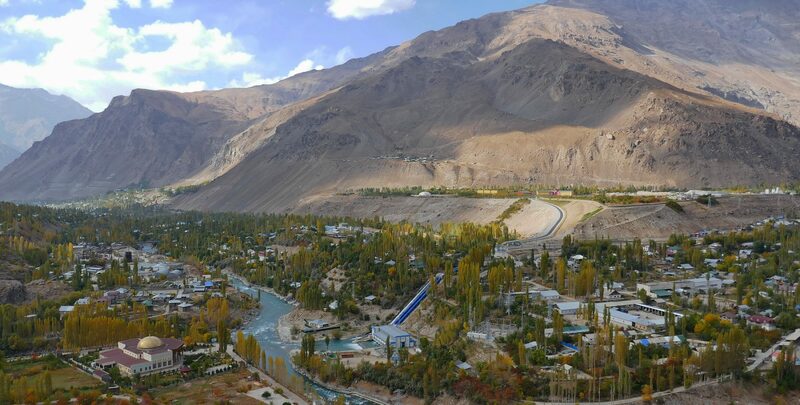 Then between October 6 and 16, the first UBC delegation will visit UCA’s brand new campus in Khorog, Tajikistan to meet faculty, administrators, students, and local, industry & government sponsors, partners and stake holders. UCA Khorog campus opening September 2017. This short visit will focus on building relationships between the wide range of participants, especially students and faculty. Success at developing the Earth and Environmental curriculum most certainly depends upon incorporating their needs, priorities and interests! More details will be provided, probably in September, once the team is well-engaged in overarching iterative development of program-scale curriculum. As of mid-summer we have established the majority of the science education specialists who will build courses. Now we must begin to use existing UCA Core Literacies and the EES program’s key learning objectives to lay down the scope and outline of the EES curriculum. UBC’s Center for Teaching, Learning and Technology is helping with curriculum-level thinking, and collaborative work among team members has begun. Next steps are to identify UBC courses in EOAS, Geography and UBC-Okanagan, and establish relationships with corresponding faculty. Their roles and opportunities are summarized in the 1-pg faculty expectations document here. We are also beginning to plan UBC’s first visit to Khorog in the first half of October.